As people in France and Catholics worldwide reflect on the destruction by fire of Notre Dame Cathedral, many have taken solace in the fact that the cross above the altar of the medieval church in Paris has remained intact. Images of blackened walls and rubble show the extent to which flames in only a few hours managed to claim much of the 12th-century church that took more than 300 years to build and survived wars and a revolution. 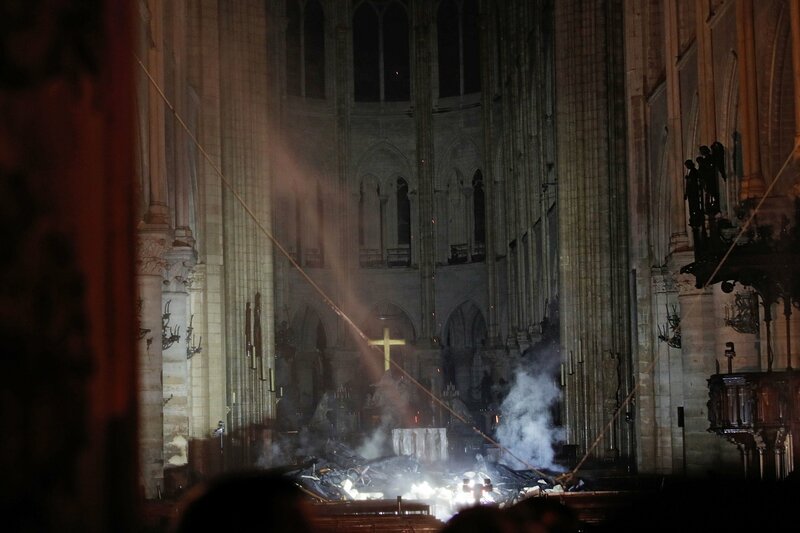 Reuters photographer Philippe Wojazer captured an image of the cross on the altar still standing and apparently emitting a golden glow above the 18th-century pieta by Nicolas Coustou at the front of the cathedral’s nave. This image—just before Holy Week—of the cross acting as a backdrop to a statue of the Virgin Mary holding her son Jesus Christ after his crucifixion, is a tableau memorable enough for some on social media to suggest divine intervention. Art historians are preparing for the worst regarding the likelihood that religious sculptures, ancient stained-glass rose windows, chandeliers, organs and church bells, as well as holy relics, have succumbed to the flames. Sheila Bonde, a professor of the history of art and architecture at Brown University, in Rhode Island, said that the biggest losses will be the structure itself and its fittings. "Many people don’t know that the roofs are timber, largely replaced in the 19th century, and they have been totally consumed. 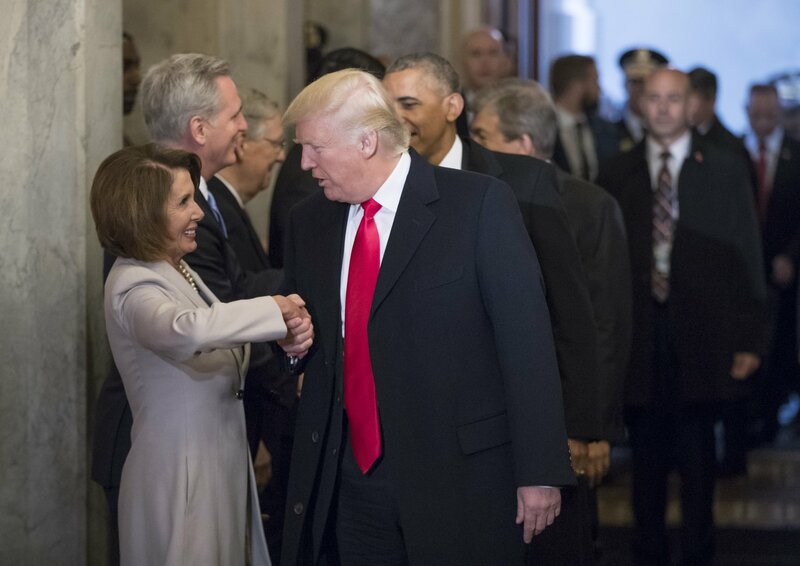 "Masonry will burn and degrade under intense heat, which is clearly what is happening, but we can only wait and see what kind of damage has spread to the church within,” she told USA Today. "Some of [Notre Dame's] stained-glass windows are original, they're medieval. The massive rose windows are susceptible to heat because they are glass and they are held together by lead, which melts," she added. Serendipity seemingly saved 16 green copper statues representing the 12 apostles and four evangelists, which were removed from the peak of the cathedral only last week. This was due to renovations, which the Paris fire brigade says may have caused the fire, the Associated Press reported. However, French-born Laurent Ferri, a former heritage conservator at the French National Archives, said he feared for sculptures, paintings, stained glass and liturgical art. "I particularly admire the 14th-century wooden panels depicting the life of Christ, and the 78 choir stalls in carved wood added in the 18th century. Now I am afraid they might all disappear in the fire. We all need to hope and pray for the building, because it is part of the world cultural heritage,” he told USA Today. Paris Mayor Anne Hidalgo tweeted Monday night that fire fighters, police and others formed a human chain to pass the crown of thorns and other relics out of the cathedral as the fire burned. 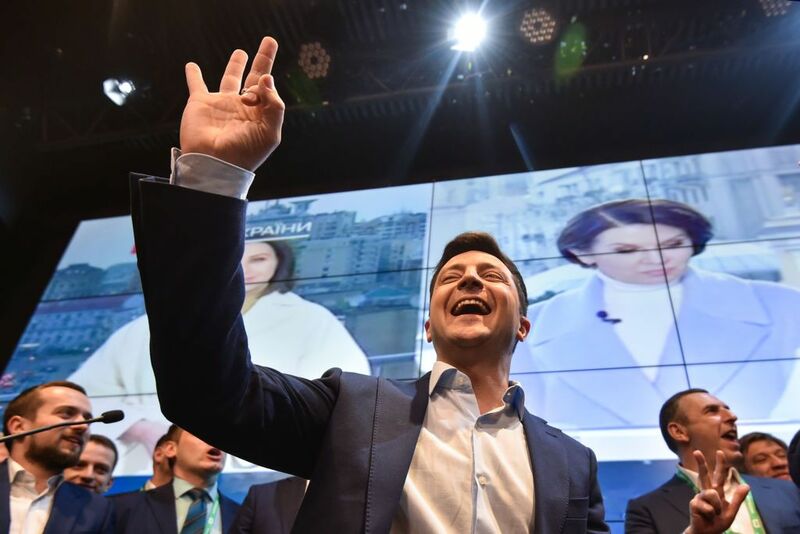 France’s culture minister, Franck Riester, said that the main structure of the church had been saved but there was still a lot of instability. He said that two-thirds of the roof had gone up in smoke and large parts of the north transept had collapsed. 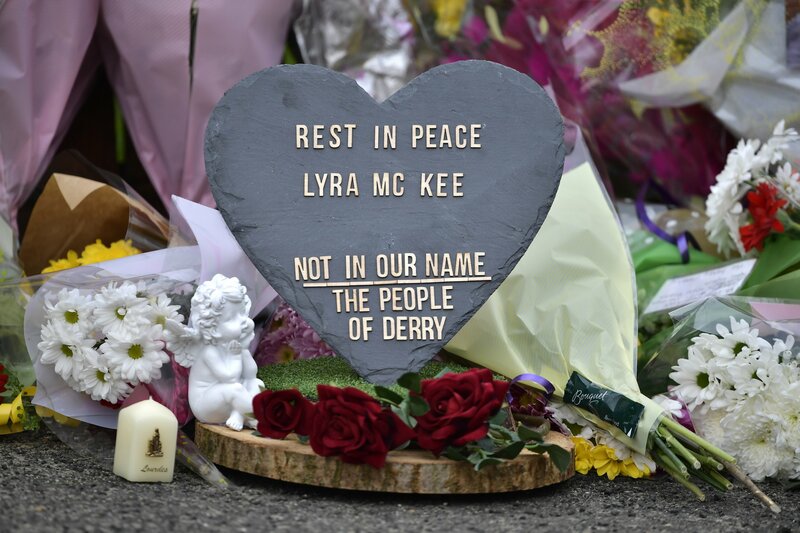 He said there is concern that the waterlogged wood above the arch could prove to be too heavy and collapse. “All this is very fragile and it is constructed so carefully that if one part collapses, the whole construction could go down too. “The situation is still precarious,” he said, according to Le Monde. 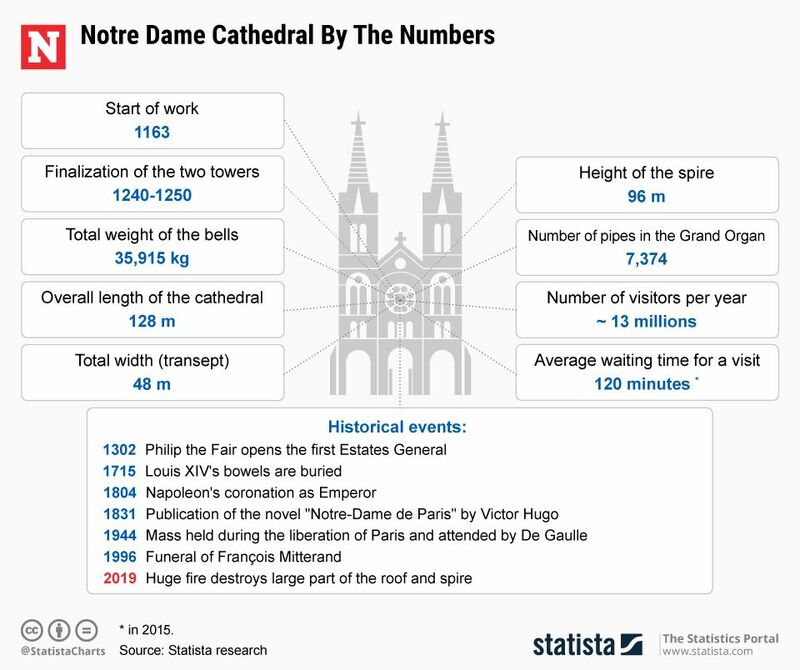 The graphic below, provided by Statista, illustrates the history of the famous Notre Dame cathedral. 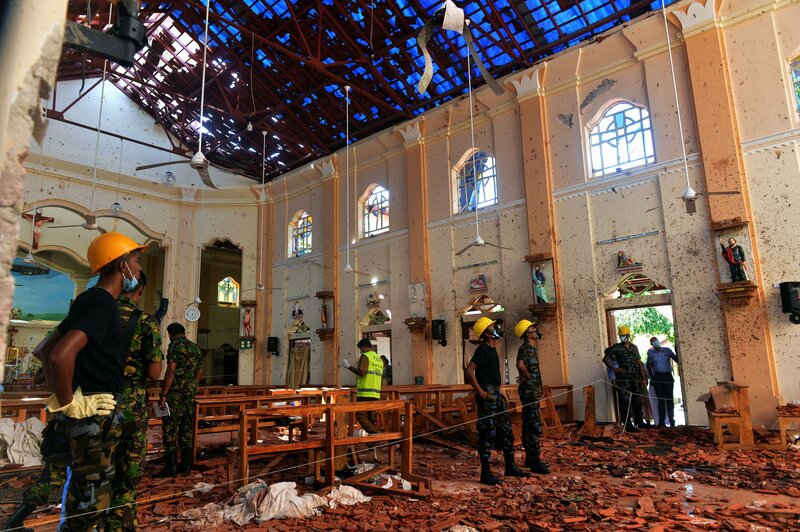 Who Are the Victims of the Sri Lanka Bombings? The Anthropocene Era: Do We Now Live on a Human Planet? Newsweek spoke to Will Shafroth, president and chief executive officer of the National Park Foundation, to identify some of the most-loved national parks in the U.S. In 1998, James Byrd Jr. was lynched by three white supremacists. John William King, the ringleader, got the death penalty. More than 20 years after his conviction, he finally faces execution. Geomagnetic jerks were first discovered in the 1970s—but their cause has been unknown until now.